This weekend marks the start of daylight saving time. Daylight saving time will begin at 2 a.m. on Sunday, March 13. That means that when the time hits 2 a.m., we automatically "spring forward" and the time becomes 3 a.m. 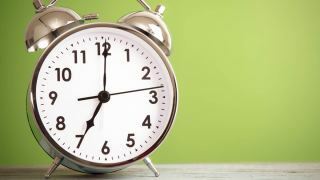 Remember to set your clocks ahead one hour either before you go to bed Saturday night or as soon as you wake up Sunday. But pay attention to any of your electronic devices that have clocks on them, such as smart phones and fitness trackers -- your devices might be set up to automatically adjust their time. Check your devices' settings to be sure. Metro is warning late-night riders to be aware of the effect of daylight saving time changes. Metrorail normally closes at 3 a.m. on the weekends. However, this weekend, there will be functionally one hour less of rail service. At 2 a.m. Sunday, clocks will jump forward to 3 a.m., and the Metrorail system will close for the night. In addition, you should take the time this weekend to make a few quick safety checks around your home. "When you change your clocks, change your batteries," the U.S. Consumer Product Safety Commission (CPSC) is reminding people. You should test your smoke and carbon monoxide detectors once a month, and make sure to change the batteries twice per year. Daylight saving time will end Sunday, Nov. 6.